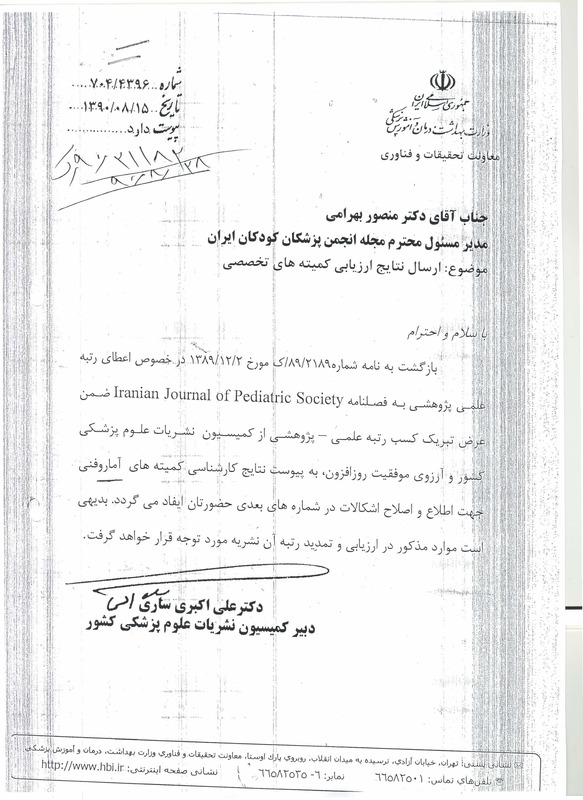 Aim & Scope Journal of Comprehensive Pediatrics is the official publication of Iranian Society of Pediatrics (ISP) and a peer-reviewed medical journal which is published quarterly. It is informative for all practicing pediatrics including general medical profession. Content Coverage Journal of Comprehensive Pediatrics consists of original manuscripts, meta-analysis, selected review articles, case reports and letters to the editor related to all pediatric sub-specialties.